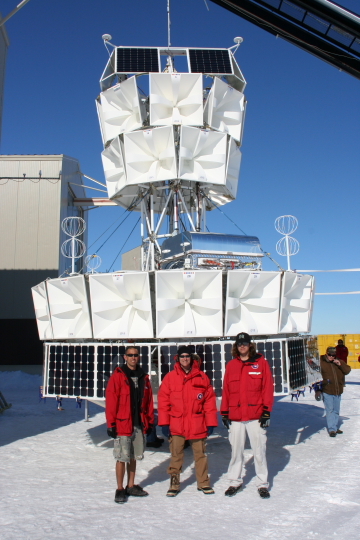 The second ﬂight of ANITA (ANITA-II) launched from Williams Field, Antarctica on December 21, 2008 and landed near Siple Dome after 31 days aloft, resulting in 28.5 live days. The second flight of ANITA was a success with payload and data recovery. 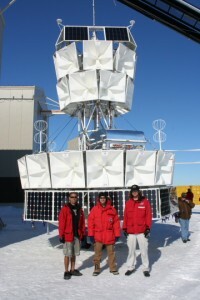 During the time in Antarctica, Dr. Peter Gorham kept an online journal to record the happenings of launch preparation and operations in Antarctica. Below, you can read publications from the second ANITA experiment and view other related information from ANITA-II.